The left is at it again! The unaccountable liberal media is circulating fake news about me in an attempt to discredit my integrity and hurt my re-election. Yesterday, a biased “reporter” from the Associated Press ran an article accusing me of falsifying my annual statement to the Iowa Ethics and Campaign Disclosure Board. The allegation is a big, fat lie, and anyone who can read can see that I accurately recorded my filing! I’ve taken cheap political hits before, but this is a new low. Unfortunately, it has become the new normal for Republicans like me who are under attack by Democrats whose only hope for victory in November is through the spread of bold-faced lies. I need your help. Specifically, I need you to contribute $5, $10, $25, or whatever you can afford to my campaign so I can continue to combat this story and the list of lies out-of-state liberal special interests are inevitably going to spread about me during my run for re-election. It’s an unfortunate state Democrats have dragged politics into, but it’s something to which we Republicans must adapt. Please consider giving generously as I now need to expend additional campaign resources to squelch this liberal fake news. 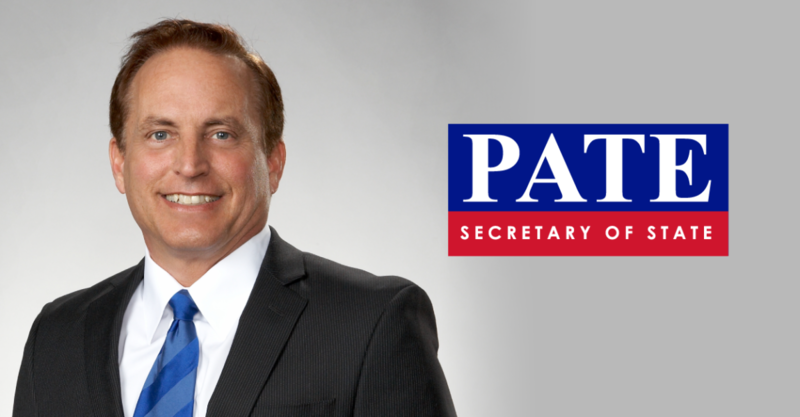 Paul Pate, a nationally recognized small business leader, is serving his second term as Iowa's Secretary of State. Pate followed through on his 2014 campaign promises by making it easier for overseas military members to vote, instituting online voter registration, implementing a Safe at Home program for survivors of violence, and bringing Voter ID to Iowa. Pate has succeeded in making it easy to vote, but hard to cheat.